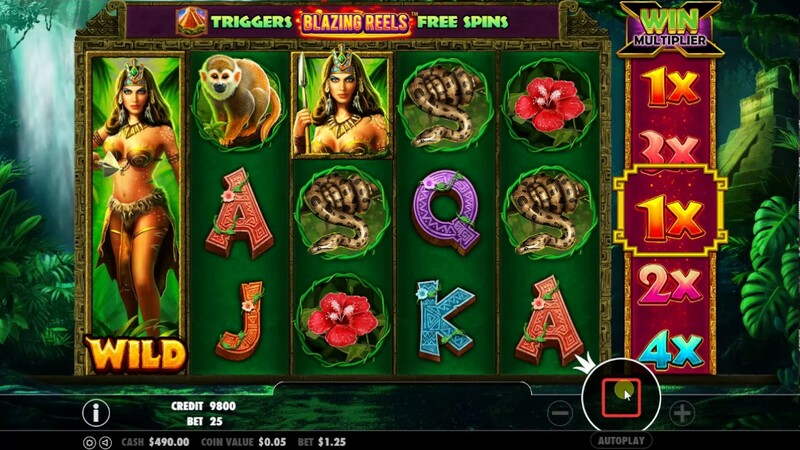 Panther Queen by Pragmatic Play is a 6 reel and 25 payline slot. For stakes starting from 25p to £125 per spin, you can access features like multipliers, a free spins feature, expanding wilds, giant 3x3 symbols and more. The multipliers can go up to 10x and you could easily walk away with more than 4,000x your stake from this online slot. Play the highly volatile Panther Queen slot now on your desktop, mobile and/or tablet. You can read more about Easy Slots here. Click here to see the full list of slot games here on https://www.easyslots.com. Spinners get to journey deep into the Panther Queen rainforest that's filled with flowing waterfalls, lush green vegetation and a ruined temple. Symbols on the reels include playing card values A, J, K, Q & 10 together with a snake, flower, black panther, toucan and a monkey. The best paying symbol pays 1x, 2x or 16x your bet when 3, 4 or 5 land on a line. Wild symbol -The Panther Queen acts as the wild symbol. She can award up to 16x your stake as well as replace all the other symbols. When the Panther Queen symbol hits the centre of the reel, she expands and transforms the entire reel wild. The slot has a 6th reel toward the right side of the main reel set. There's a pyramid symbol on there together with several multiplier values ranging from 1x to 10x. If you encounter a winning spin, the payout gets boosted by whichever multiplier hits the middle position on the 6th reel. If you are lucky enough to land 5 wild symbols on the middle payline & a 10x multiplier, your wins amount to a whopping 4,000x your stake. Free Spins feature -When you land the pyramid on the 6th reel window, you’ll activate this feature. It starts off with 5 free spins. During the spins, the 3 reels at the middle are filled with giant 3×3 symbols which land in full on every free spin. The multipliers are still applicable and you can re-activate additional free spins if the pyramid symbol hits the 6th reel again and rewards you 10 free spins. There are more general Easy Slots promotions, join & spin today! 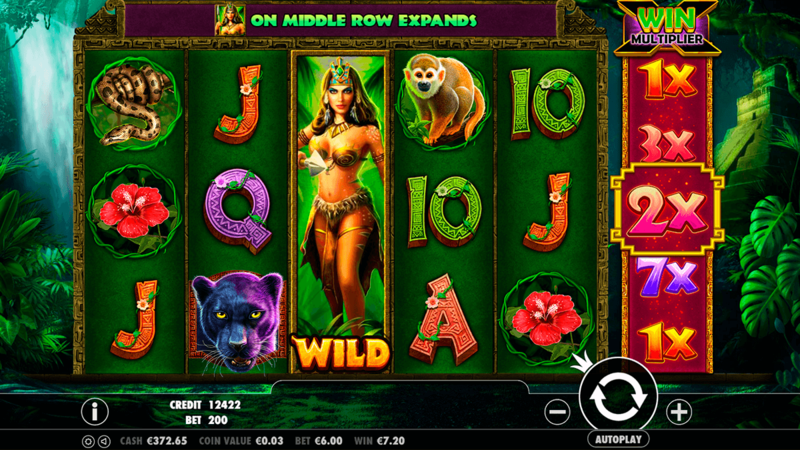 Panther Queen is an enjoyable online slot game with superb visuals. If you appreciate aesthetics, then you’ll also love its backing soundtrack which serves as an ideal accompaniment. The multipliers on the 6th reel keep main game action exciting, but the free spins feature is where it's really at. Those colossal symbols can create a big impact for you. If you hit multiple 5 of a kind winning combinations together with a high value multiplier, some juicy results are possible. You can win over 600x your total stake on a lucky night at this Panther Queen online slot game. Much thanks to Pragmatic Play for the sophisticated design and fiery feature rounds. If you enjoyed Panther Queen why not try another online slots here. Sign up today to experience the thrill of the game and learn more how to pay by phone slots.